With Each New Upheaval In Iraq, More Minorities Flee : Parallels "We like Iraq, but Iraq doesn't like us," says a displaced Christian man. He's just one of example of religious minorities who have been dislodged from parts of Iraq where they have ancient roots. An Iraqi Christian prays inside a shrine on the grounds of the Mazar Mar Eillia Catholic Church in Irbil, in northern Iraq. Irbil has become home to hundreds of Iraqi Christians who fled their homes as the Islamic State advanced earlier this year. Northern Iraq is a lot more diverse than just Arabs and Kurds or Sunni and Shiite. For centuries, it has been home to multiple religious groups with ancient roots in the region. But more than a decade of turmoil has driven many religious minorities out, with the most recent example being the onslaught of the self-proclaimed Islamic State militants, or ISIS. The scene recently at the humble Mar Yusef church in the northern city of Dohuk encapsulates the situation. The denominations worship in shifts. Chaldean Christians at 6 p.m., followed by Orthodox an hour later and then the Syriacs. Their clergy, in distinctive robes and hats particular to their fold, greet the faithful at the modest house of worship on a side street in a predominantly Kurdish town. The wooden pews are rough, space heaters provide warmth and a twinkling Christmas tree marks the season. But now attendance is sparse because so many Christians have already left Iraq. 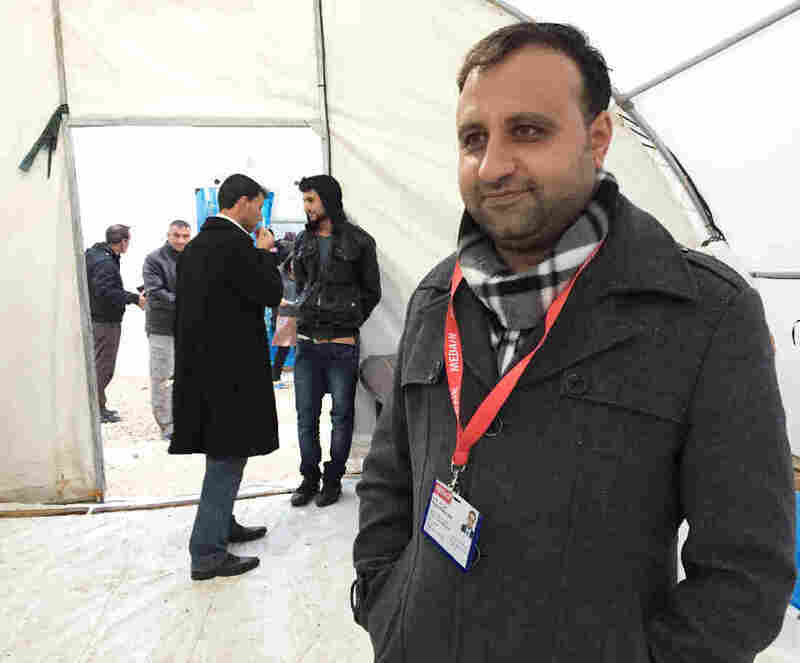 Dr. Kamal Yusef is waiting on this rainy night to pray with his family, but he, too, hopes to leave Iraq. His home was in Mosul, Iraq's second largest city. But a few months ago, Islamist militants from the Islamic State arrived at his front door with AK-47s and delivered a bleak menu of choices: He could stay and pay a tax, he could convert, or they would kill him. "You have to change your religion to stay there," he says with a bitter laugh. ISIS seized Yusef's home and drove the Christian community out of Mosul where Christians have lived for some 2,000 years. He says Christians can no longer feel at home in Iraq. "Really, most of them are thinking to go," he says. The Christian community has dwindled dramatically from more than 2 million in the 1990's to less than a quarter-million today, says Loay Mikhael, the head of the foreign relations committee for the Chaldean Syriac Assyrian Popular Council. "Eighty percent are trying to get out," he says, adding that they're applying for tourist visas in Western embassies in Turkey, Jordan and Lebanon and then claiming asylum as soon as they arrive. 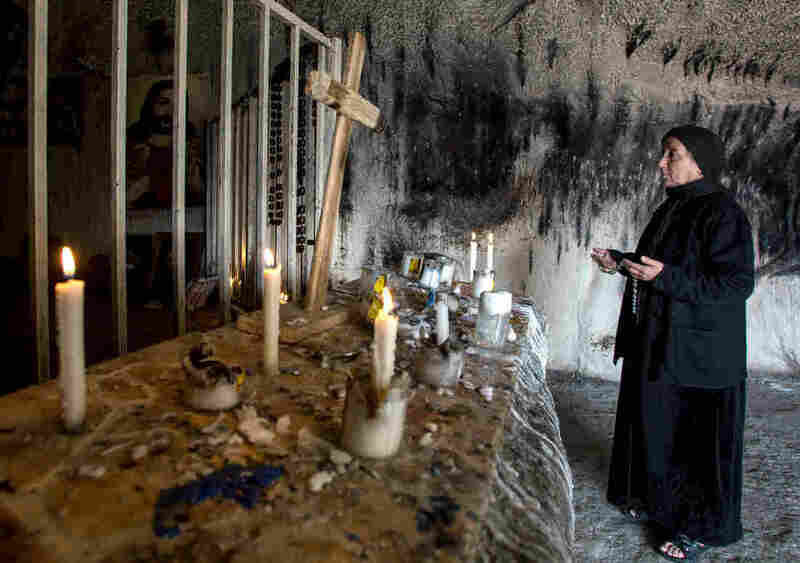 ISIS militants have ruthlessly targeted Iraq's religious minorities. But the historic exodus stems from more than that, says Gerard Russell, author of Heirs to Forgotten Kingdoms: Journeys Into the Disappearing Religions of the Middle East. "It's not even about the violence and the fear," he says, adding, "most of all, it's the feeling of not being wanted. It's the feeling that it's no longer home." A few miles from Mar Yusuf Church in Dohuk there is a tent camp as large as a city housing another religious minority. Twenty-four-thousand Yazidis now live in the drab, cramped quarters. They have the same grievance as the Christians: Iraq is no longer home. When ISIS terrorized the Yazidis in August, killing Yazidi men and enslaving the women in Sinjar, their isolated ancestral city, the U.S. stepped in with airstrikes to stop the slaughter. Since then, the Iraqi central government in Baghdad has done nothing for them, say Yazidi leaders. "Really, we haven't received any help from Baghdad yet," says Dr. Haji Aziz Essa, a Yazidi doctor who was among those driven out of Sinjar. He is the only doctor in the camp clinic with a caseload of 400 to 500 patients a day suffering from trauma and illness. But his prognosis is bleakest when asked if Yazidis still have a place in Iraq. "Iraq is not the place for minorities; minorities should leave or they will be eradicated," he says with vehemence. This is the fear for many of Iraq's religious minorities. Mandaeans, Shabaks and others feel the same way. These groups have helped define Iraq's rich cultural history and have survived for centuries. The loss is profound, says Russell, because as they depart, a link to the past goes with them. "The reason these religions still exist is that the Arab world was never the horrible nightmare of intolerance and violence that people present it as being," Russell says. He points out that after Islam was founded in the 7th century and quickly spread, and as Baghdad became the cultural capital of the world, Islamic caliphs benefited from the skills of the religious communities already established. Christians served as ministers, a "Jewish astrologer chose the date on which Baghdad would be founded. Pagan mathematicians were invited to come and work," he says. ISIS is trying to erase that history by driving out Iraq's minorities, but there is a larger climate of intolerance that may finish off these ancient communities. Intolerance is now rampant from Sunni and Shiite extremists, says Russell. That squeezes out communities that don't fit within the Sunni-Shiite divide. "It isn't specifically directed at minorities," he says. "[But] it is a vicious conflict in which there is no room for neutral people." Ra'at Tedy and his family know how it feels to get squeezed out. They are Christians, driven out of Fallujah by Sunni militants, and out of Baghdad when the Shiite-dominated government didn't protect them. Now, they have settled in the Kurdish part of Iraq, but even here, they are still defined by how they pray. "Everywhere when I go, they say, 'Minority, minority, yeah, Christian,' " laments Tedy, as his two sisters nod in agreement. He has a job, but says he is left out of training programs and ignored when the time comes for promotions. "I am not an Iraqi; I am a Christian," he says, "and I don't have anyone to support me. We like Iraq, but Iraq doesn't like us." This is the reason that minorities are heading out, says author Russell, calling it a loss for Iraq. "I don't believe they will disappear completely. I think, however, that we will see them disappear as a major social and political force," he says.